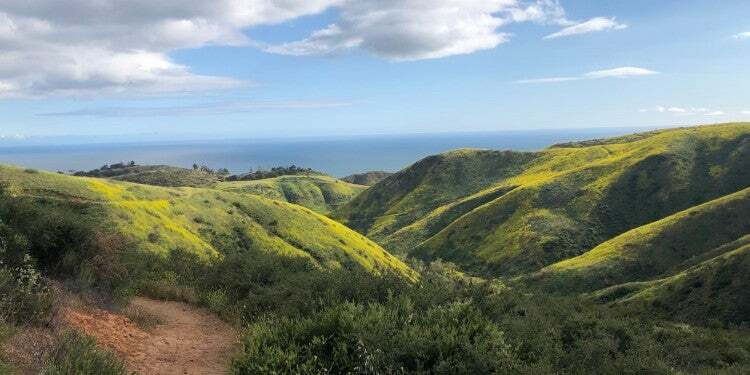 Camping on Santa Catalina Island is an escape to nature unlike any other around the densely-urban Southern California region. There are clear ocean waters with dolphins and whales, and scrubby hills with a real herd of American Bison. It’s a wonderful weekend trip, with mountains to hike and lagoons to snorkel in all seasons, thanks to its Mediterranean climate. With all-natural attractions like this, it’s no wonder the island off the coast of Los Angeles gets over a million visitors each year. Most visitors stay in Avalon, on the island’s southern end, its largest town. Two Harbors, toward the northern end, is the other population center on the island. 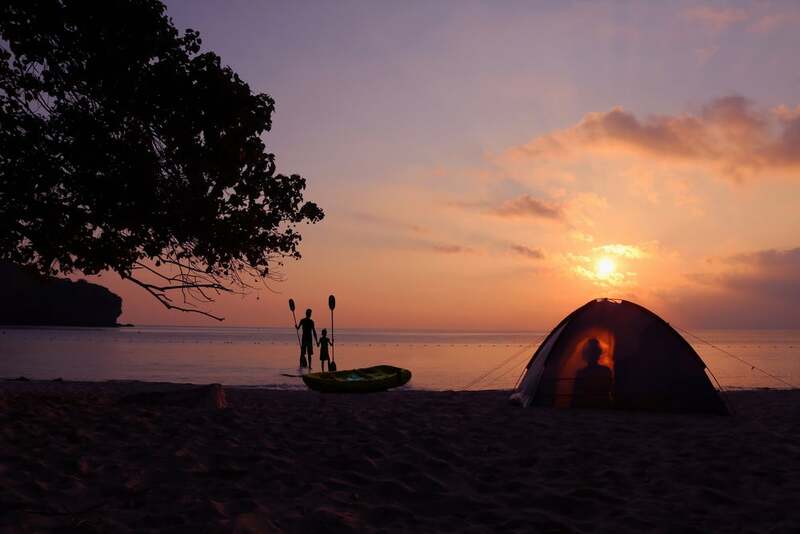 Both areas have campgrounds that can be wildly popular in the summer, so if you’re interested in enjoying the island in a peaceful, more isolated setting, there are quieter options spread out across the island. If you’re looking for an even more primitive trip, you can consider hiking the Trans-Catalina Island Trail. Whatever you choose, camping on Catalina Island requires more planning than a trip to your local campground on public lands because, well, it’s an island. Here are some tips to make your escape happen. So crooned the 1950s pop band The Four Preps in their hit song, “26 Miles.” With today’s high-speed ferries, that distance can be crossed in about an hour. You can catch the ferry at one of four ports: San Pedro, Long Beach, Newport Beach or Dana Point. There are two companies, the Catalina Express and the Catalina Flyer, that run regularly-scheduled ferries daily. To book, you can call or go online. Other useful—and exciting—options to get you there are through renting a private boat, or by taking a helicopter tour that lands in Avalon. It’s important to read through the baggage guidelines for both ferry companies, the Express and the Flyer, as both have specific limits on luggage amounts. As well, a prohibition on camp stoves, non-electric lanterns, gas canisters and other flammables from the Coast Guard means you’ll need to rent or buy that gear on the island. If you don’t want to deal with the hassle of packing and carrying all your gear over to the island, there is another option: renting. The Two Harbors campground offers a gear rental service on-site, with multiple tent options, as well as sleeping bags and pads, stoves and lanterns. You can also buy firewood and fire starters at the Two Harbors General Store. 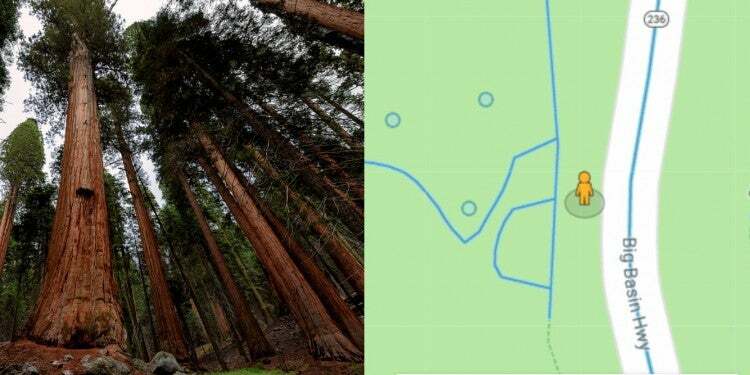 This comes in handy, as campers are not allowed to gather wood themselves. If you want your Catalina Island camping experience to be even more luxurious than home, Catalina Backcountry has you covered. 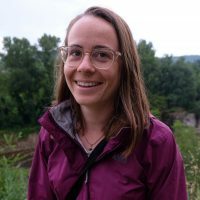 Dubbed an “adventure concierge,” they can help haul your gear if you’re hiking or biking to primitive campsites or doing the Trans-Catalina Trail. If you’re staying at a campground, they can provide private massages, gourmet meals, yoga classes and more. 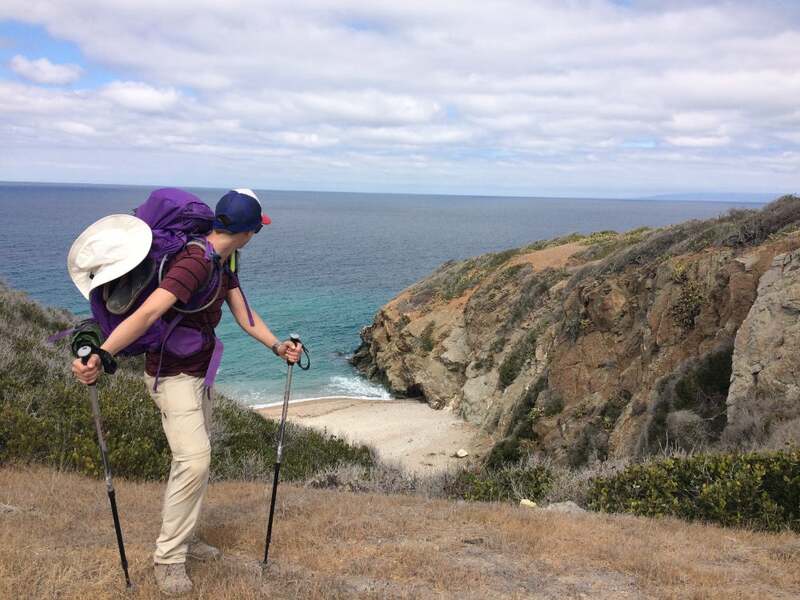 When you’re camping on Catalina Island, you’ll probably find that walking is the preferred method of transportation. If you’re feeling like a quicker ride, campers can choose to rent a bike or one of the popular golf carts from many towns on the island. For easy connection to the major towns and campgrounds, the main way you’ll be getting around is the Catalina Safari Bus. It runs daily in the summer months, and links Avalon with Two Harbors, with stops at Little Harbor, Airport-in-the-Sky, and the trailhead for Black Jack. One-way tickets often are between $15 to $25, but bringing on extra items can cost a few extra bucks. 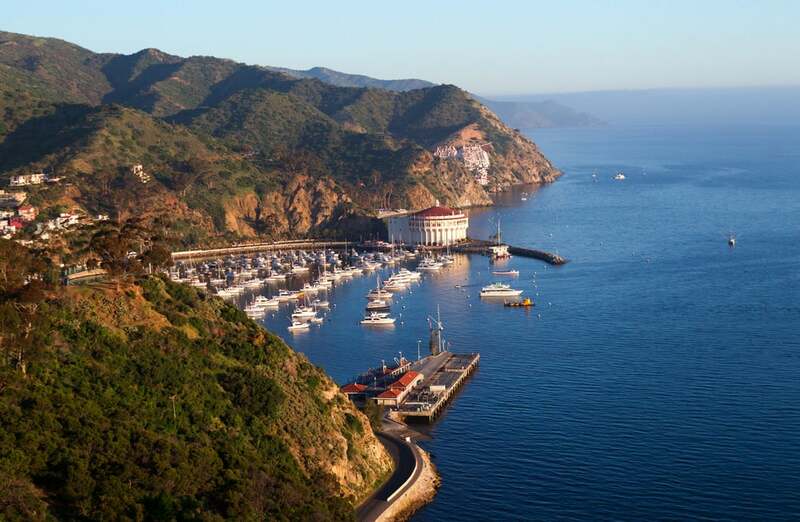 All Catalina Island camping options are reservation-only, and can be booked on Reserve America or by calling (877) 778-1487. Permits are required as well, and will be issued upon your check-in at Two Harbors Visitor Services, Hermit Gulch Campground, or Island Plaza in Avalon. The Two Harbors campground is about a quarter mile outside of the small town of Two Harbors. 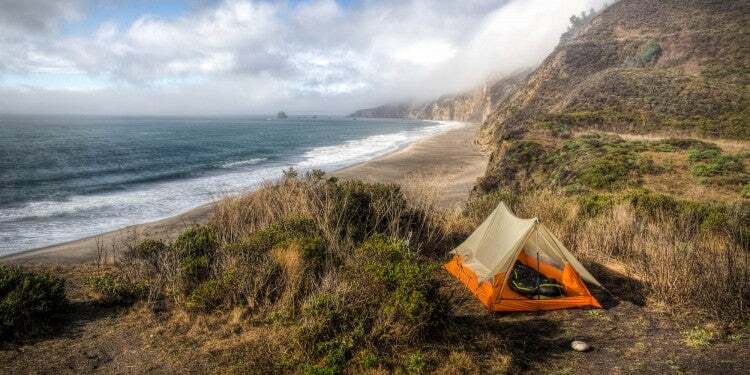 It offers 39 tent sites set on a bluff with great ocean views. There’s access to showers, chemical toilets, fresh water, picnic tables, BBQs and fire pits. 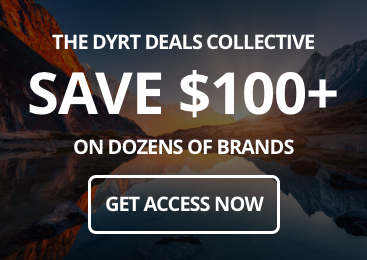 If you want to go full comfort camping, this site glamping gear rentals, like cots and yeti coolers. It’s part of a new “convenience camping” service with its own reserved sites, a trend that is popular at many of the Catalina Island camping options. “Two Harbors is often overlooked for Avalon, but it’s oh so much better. This side of the island features 1 large building that is their general store, bar, and restaurant, and that’s it. It’s quiet, peaceful, fun, has hiking trails everywhere, and you are almost guaranteed to see buffalo.” —The Dyrt camper Kristil C.
Photo from The Dyrt camper Mandy E.
Little Harbor campground was rated “One of the Best Campgrounds in the West” by Sunset Magazine. It’s about seven miles east from Two Harbors. 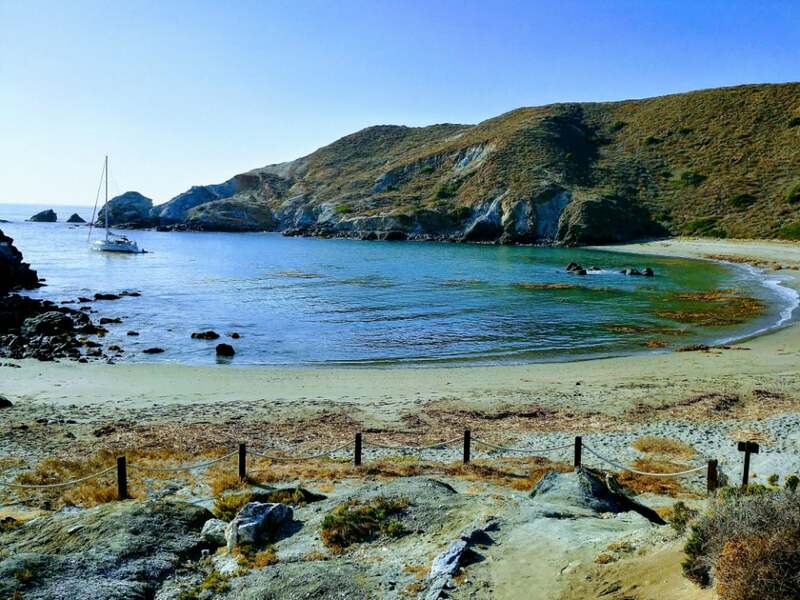 The only campground on the remote “backside” of Catalina Island, it’s a small, sandy beachside campground perfect for playing in the water. You can get to it by biking or hiking a strenuous trail or taking the Safari Bus. There are fire and BBQ rings, picnic tables, chemical toilets, fresh water, showers and even kayak rentals available onsite. “Such a beautiful campground, and if you’re lucky enough (like we were) you may get the whole place to yourself. The beach is beautiful, and there’s nothing like the sunsets here.” —The Dyrt camper Morgan F.
The Hermit Gulch campground is the only one within the city limits of Avalon. That means you can easily get from there to groceries, shopping, restaurants, sightseeing and nightlife in town. 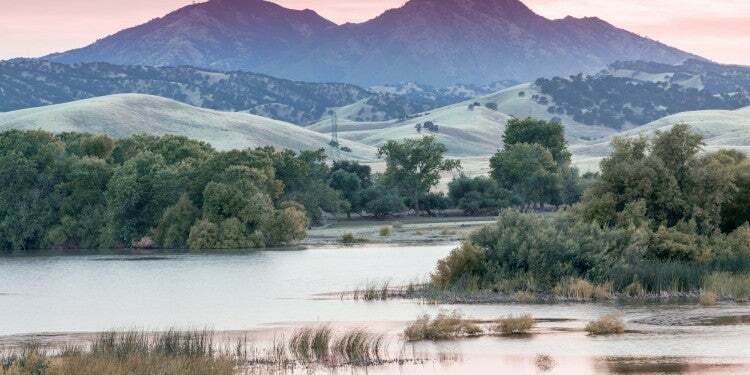 It’s located in the chaparral-covered Avalon canyon, near the Nature Center and the Wrigley Memorial and Botanical Gardens—a must-see while you’re there. On-site amenities include a camp store with equipment rentals. Be sure to alert the staff if you’re arriving or leaving before or after check-in and check-out times. 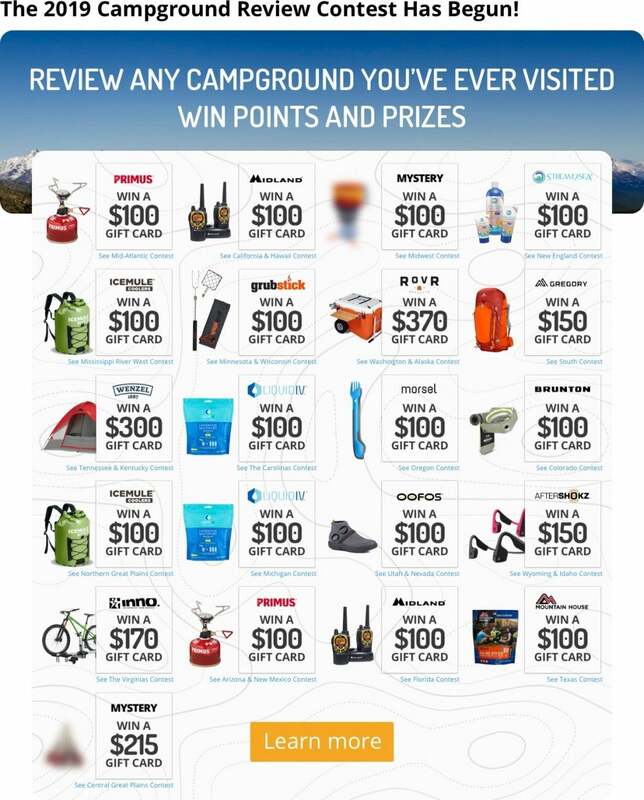 “A fun camping hideaway on the bustling Catalina Island… I should let you in on the secret that ~the~ best campsite is Site 29!!! Reserve this one if you can!! It’s the furthest away from the road and taxi dropoff, so it can be frustrating if you have to lug all your stuff, but it’s well worth it.” —The Dyrt camper Cassie R.
Image from The Dyrt camper Mandy E.
“Takes some work to get here but definitely worth it… Don’t forget your snorkel! The water is so clear and full of things to see.” —The Dyrt camper Lacie G.
The Black Jack campground is a primitive campsite in the highlands of the island, and is accessible only by hiking in. It is on Mount Orizaba, which is Catalina Island’s highest peak at 2,097 feet. You can get to the Black Jack campground trailhead, which is nine miles from Avalon and 11.8 miles from Two Harbors, by hiking, taking the airport shuttle from Avalon, or taking the Safari Bus. There are no fires allowed as long as the county is in drought, so be sure to check online for drought information. There are picnic tables, BBQ and fire rings, showers, fresh water and chemical toilets. The Dyrt camper Leasa W. recommends grabbing breakfast or lunch at the Airport-in-the-Sky, two miles away. “Very remote and quiet feeling. You won’t be able to see the coastline when at this campground but definitely will on your travels along the trail to get to the campground. Some nearby campers utilized hammocks and found sufficient trees to hang from.” —The Dyrt camper Leasa W.